Have you ever explored the Boardwalk Resort at Disney World? We have always heard that the food options at the Boardwalk Resort are terrific. Upon arriving, we immediately began to explore our food options. My husband decided that he wanted to try some Pizza from the Pizza Window next to Kouzzina by Cat Cora. I, decided to try some treats from The To-Go Cart. With different classic flavors of some American favorites (I thought it was like going to the county fair), what's not to love! I got a Pulled Pork Sandwich, Onion Rings, and a Chili Cheese Dog. The Onion Rings were the best tasting out of all the choices. After walking around and checking out the entertainment, we decided to try the Funnel Cake Cart. What was a night out without dessert? We felt like a pair of excited kids in a candy store! 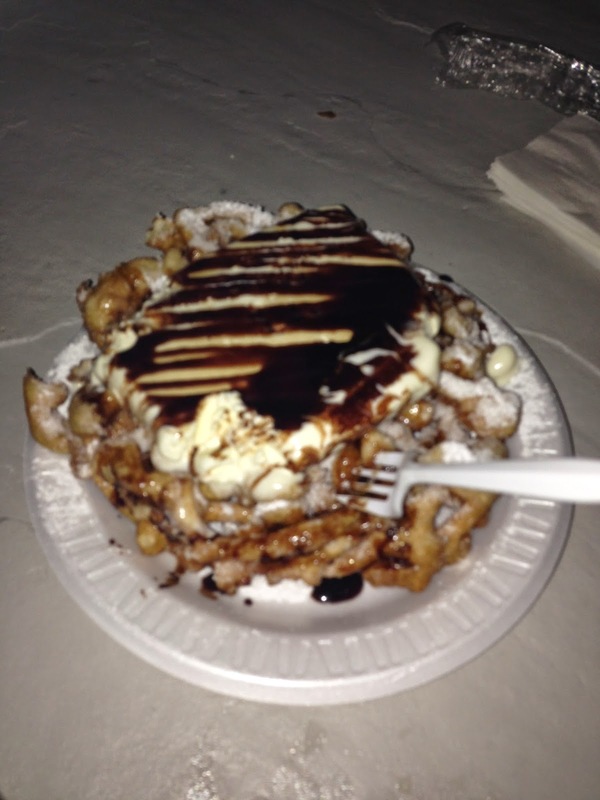 The funnel cake was absolutely delicious. We had the choice of numerous toppings. We decided to try chocolate syrup drizzled on top with a block of Vanilla ice cream. After a fun dinner on the go, we headed off to the other side of Crescent Lake to explore more of The Boardwalk Resort! This side of the resort is close to both EPCOT and Hollywood Studios. As a special perk, you are able to watch the fireworks from here! We also strolled over to the back entrance of EPCOT. The delightful sounds of the Italian Pavilion filled the air. It was possibly the first time I had ever heard the soundtrack for this area. Panorama of the Boardwalk Resort from the Boat Launch in the middle of Crescent Lake. 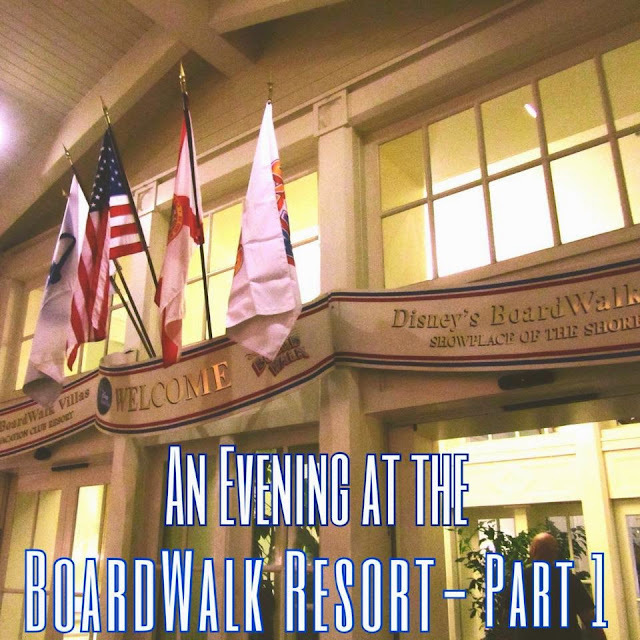 We recommend you take a stroll and explore the Boardwalk Resort if you find yourself with a night available during your next action packed trip to Walt Disney World.